Strong NW winds expected to develop across PEI today..
Tuesday, January 22nd 6:00am.. 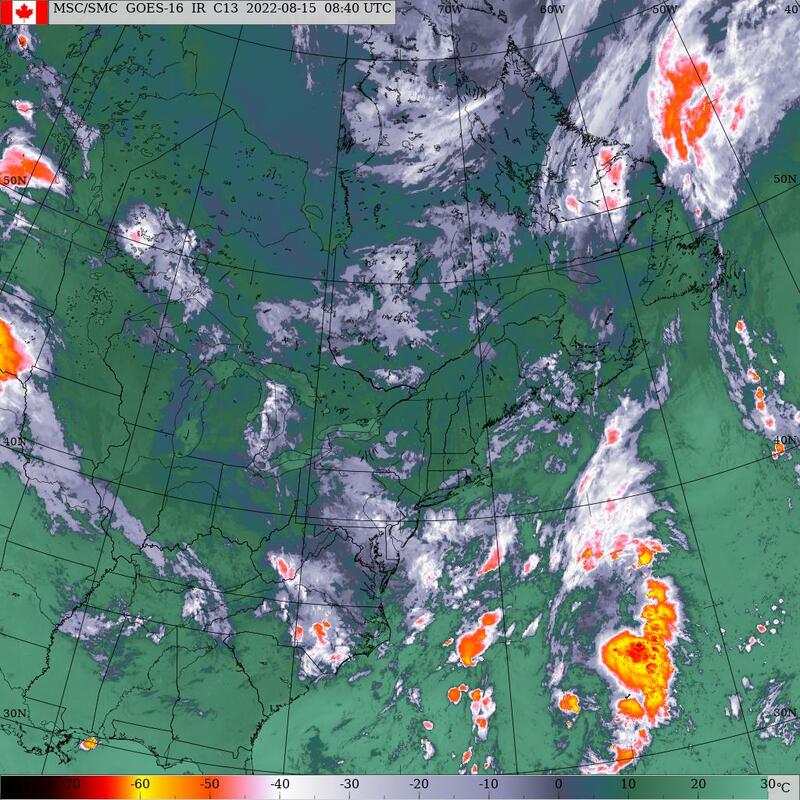 The storm that crossed western Prince county early yesterday morning is now located over northern Newfoundland. Secondary low pressure is now expected to develop over the northern Gulf of Saint Lawrence this morning and track SE in to the southern Gulf later today. This system will continue to bring cloud and flurries to the island but more importantly increasing NW winds will also develop today Peaking early this evening especially for PEI where gusts to 90 KMH possible. High pressure crests over the island tomorrow morning then drifts SE. Snow develops late tomorrow afternoon with the approach of a warm front. The snow then changes over to rain towards midnight as the warm front lifts north of the island. Low pressure then approaches from the SW rippling NE along the frontal boundary passing across northwestern NB/Gaspe BAy area Thursday night. This track will keep the island in the warm sector of this system resulting in a mild wet scenario. The associated cold front will then sweep across the island Friday morning heralding a return to winter time temperatures. Cold high pressure in control for the weekend with mostly sunshine. Precipitation.. Flurries or periods of light snow today giving a couple cms. Snow begins tomorrow late afternoon changing to rain towards midnight. The rain then continues all day Thursday ending or changing to flurries near dawn Friday morning. Snowfall amounts in the 5-10 cms range tomorrow evening before the change over to rain followed by 20 mms rain. Wind.. Increasing NW winds today especially for northeastern Kings county. Morel through East point then down towards Georgetown where winds could gust to 90 KMH. Winds then diminish to light SW by dawn Wednesday morning. Increasing southerlies on Wednesday further increasing to brisk0strong southerlies on Thursday shifting to brisk westerlies near dawn on Friday marking the cold frontal passage. Diminishing west winds on Saturday becoming southerly on Sunday. Hazards.. Strong NW winds especially for eastern PEI today. Possible bridge restrictions later today as well. This will cause extensive blowing and drifting snow especially eastern PEI giving hazardous driving conditions. Accumulating / plowable snow later Wednesday. Water issues on Thursday due rain and snow melt. Watches/warnings.. Wind warning in effect for eastern PEI (Kings county). Tomorrow.. Sunny early becoming cloudy with snow developing towards suppertime then changing to rain be late evening. Increasing southerly winds, temps near -16 early rising to -5 by suppertime and +1 by midnight.